The famed R&B singer and songwriter, Ginuwine, will take the stage at the 2017 Julius Erving Golf Classic Ball, Red Carpet & Pairings Party, held on Sunday, September 10 at the beautiful Logan Hotel in Philadelphia, PA. 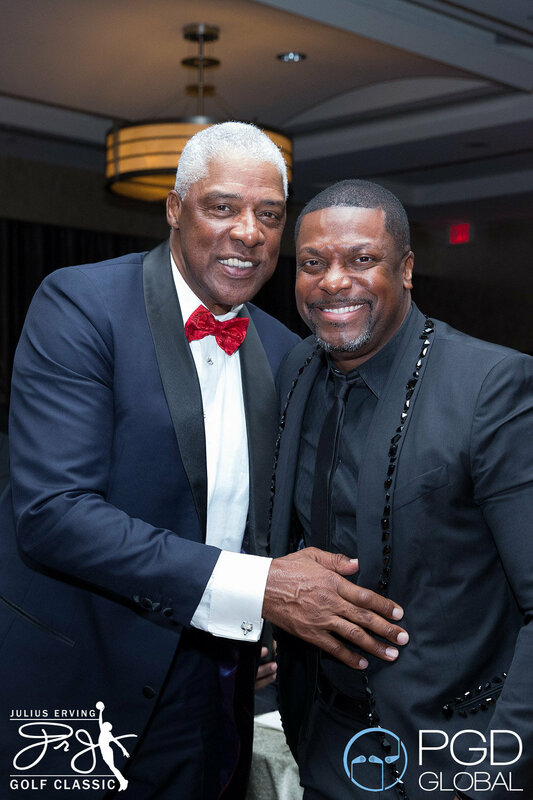 The Julius Erving Golf Classic is a three-day experience honoring Julius "Dr. J" Erving while celebrating the best of Philadelphia through basketball, lifestyle and golf, in support of the Salvation Army of Philadelphia. 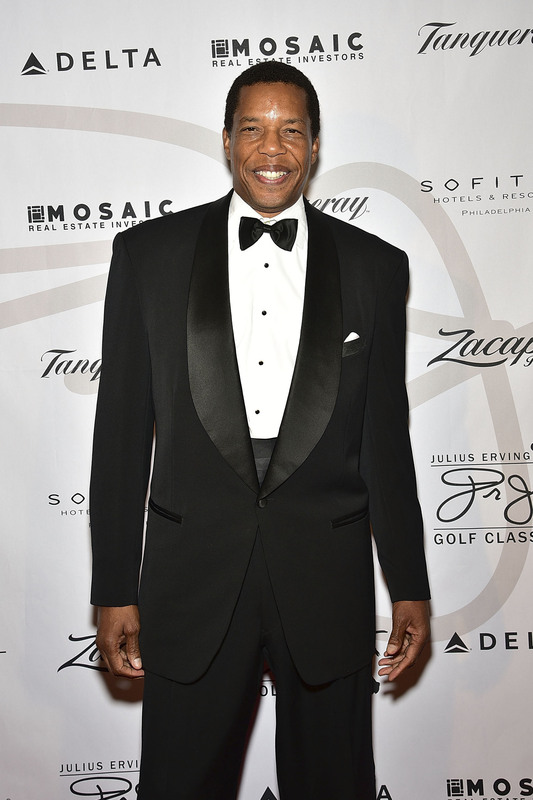 The exclusive Julius Erving Black Tie affair will welcome celebrities, current and former sports legends and VIP guests for a luxurious evening filled with food, music and signature cocktails, presented by Tanqueray No. TEN. 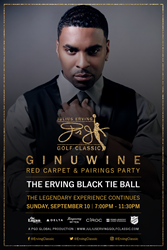 The famed R&B singer and songwriter, Ginuwine, will take the stage at the 2017 Julius Erving Golf Classic Ball, Red Carpet & Pairings Party, held on Sunday, September 10 at the beautiful Logan Hotel in Philadelphia, PA. Signed to Epic Records since the mid-1990s, Ginuwine has released a number of multi-platinum and platinum-selling albums and singles, gaining notoriety as one of R&B’s top artists of his era. 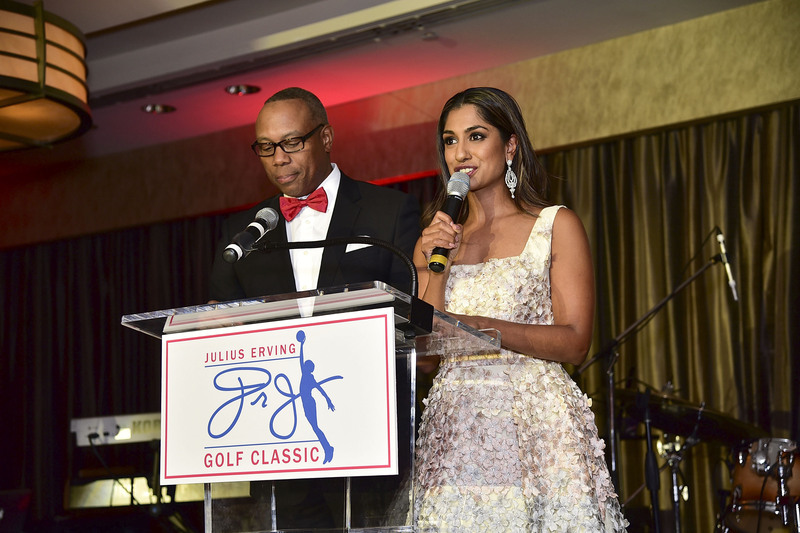 Hosted by ESPN’s Jay Harris and Professional Golfer and Fashion Designer Seema Sadekar, The Erving Classic will commence on September 9, with the Erving Youth Basketball Clinic at the new state of the art Sixers Training Complex, currently the largest training complex in the NBA. The clinic will host youth participants from the Salvation Army of Greater Philadelphia and Camden New Jersey. 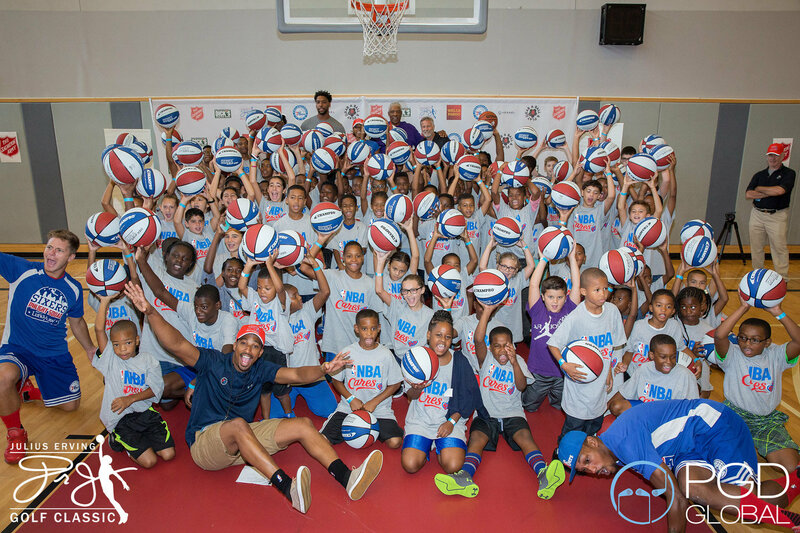 The clinic will be followed by a special Julius Erving Community Panel, where Erving along with current NBA players and notable Philadelphia personalities, presented by the Philadelphia 76ers, and will discuss the betterment of youth sports, local initiatives and community development within Philadelphia. 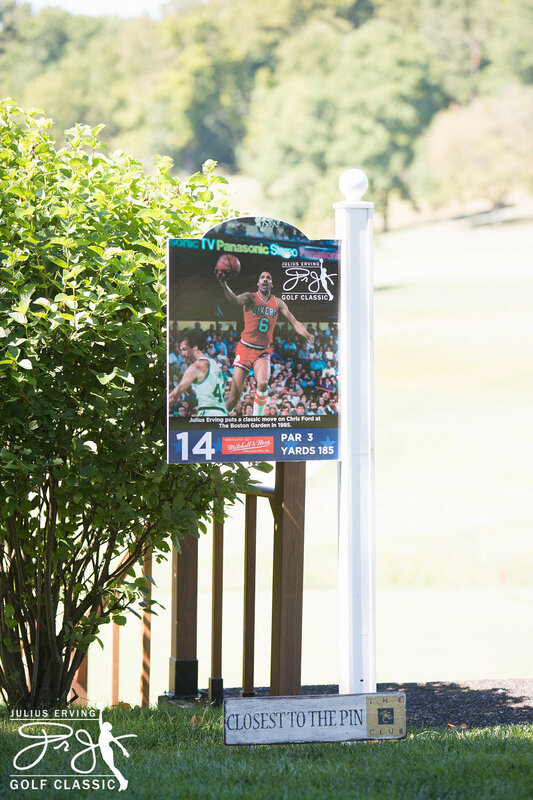 On the final day, September 11, all golfing guests will head to the ACE Club to tee-it-up in the Official Julius Erving Golf Classic presented by Delta Air Lines. The legendary R&B artist, Jeffrey Osborne, will perform "God Bless America" for participants during the official Erving Opening Ceremony presented by Pond LeHocky Law Firm. Golfers will experience the “Erving On-Course Museum” where each hole showcases a moment from the legendary life of the iconic Erving. While participants are enjoying the course, ladies will wear red and attend "Cocktails with Dorys" in the Tanqueray No. TEN Clubhouse Lounge with Dorys Erving, wife of Mr. Julius Erving, and will then join in for the Erving Playoffs, Awards and Closing Ceremonies presented by The Philadelphia 76ers after the tournament round. 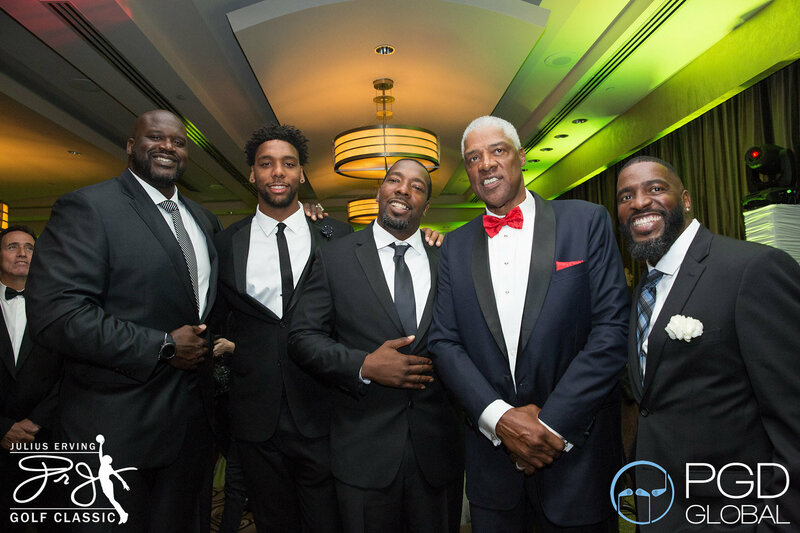 2017 Erving Celebrity Guests include: Former NBA super stars, Shaquille O'Neal, Alonzo Mourning, John Starks, Cliff Levingston, Gerald Henderson, Sr., Eddie Jordan, Reggie Theus and Richard Hamilton; Current NBA players, Jahlil Okafor, Markelle Fultz, Rondae Hollis-Jefferson; R&B icons Eddie Levert, Jeffrey Osborne and Tony Cornelius; Former NFL players, Marcus Allen, Richard Dent, Keith Byars, Victor Green and Joe Washington; former MLB stars Reggie Jackson and Joe Carter; PGA Tour Professional Sean O’Hair and many more. Notable Erving Classic sponsors include: The Philadelphia 76ers, Delta Air Lines, Zacapa Rum, Tanqeray Gin, CIROC, Pond Lehocky Law Firm, Michael Kors, Roots of Fight, Wawa, Buzz Oates, 251 Dekalb, King Transportation, Nestle Waters and many more. The three day experience celebrates the achievements and legacy of Julius “Dr.J” Erving in the city of Philadelphia, where Erving spent most of his illustrious career in the NBA. A portion of the proceeds will benefit the Salvation Army, a non-profit organization dedicated to bringing comfort, food, shelter and care to the needy around the world. The event brings together golf, fashion, lifestyle and entertainment. 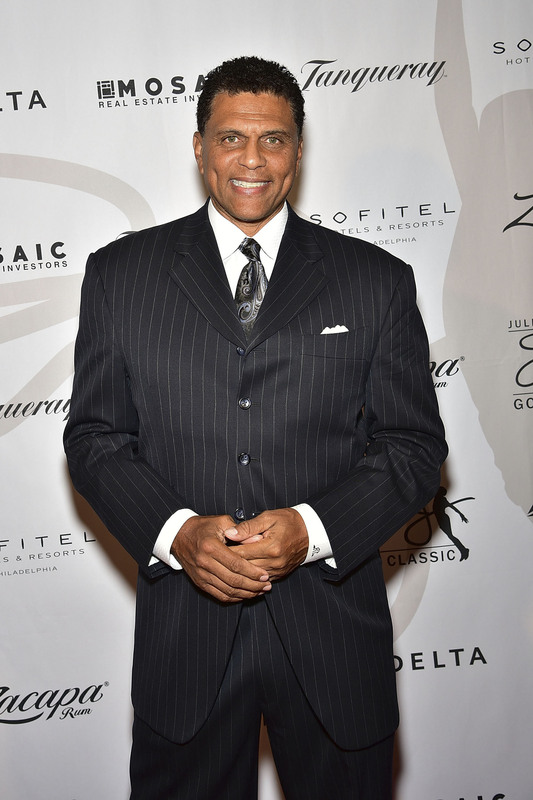 VIP Packages for the Julius Erving Golf Classic can be tailored to include golf and hospitality. For information on Erving tickets, packages and experiences call PGD Global at 310.926.4075 or email info(at)playgolfdesigns(dot)com. For media inquiries: Rachel Rees: Rachel(at)pgdglobal(dot)com. Play Golf Designs, Inc. (PGD Global) is a golf marketing & event company, directing and participating in luxury events for some of the world’s most legendary athletes, brands, entertainers and organizations including Coach Mike Woodson, Julius Erving, Jalen Rose, Chris Tucker, Jeffrey Osborne, Viacom, The Broadcasters Foundation of America, Diageo and MGM Resorts International. PGD blends pop culture and entertainment, creating the most unique, innovative golf events and experiences for each client. PGD Global focuses on celebrating diversity and inclusion in golf while welcoming women to the game with open arms. Specializing in connecting golf to the modern world of trends and fashion, PGD Global operates golf and lifestyle events and experiences all around the country, welcoming new golfers and businesses to the game. More info: http://pgdglobal.com. TANQUERAY London Dry Gin is a dry, crisp, gin with a rich juniper flavor. Known for its iconic green bottle and red emblem, TANQUERAY London Dry Gin is the number one imported gin in the United States and is one of the world's most award-winning gins. TANQUERAY gin, TANQUERAY No. TEN gin, TANQUERAY RANGPUR gin and TANQUERAY STERLING vodka together create the renowned portfolio of TANQUERAY. Additional information about the TANQUERAY brand may be found at http://www.tanqueray.com. Enjoy the finest spirit responsibly. TANQUERAY Gin. 100% Grain Neutral Spirits. 47.3% Alc/Vol. Imported by Charles Tanqueray & Co., Norwalk, CT.